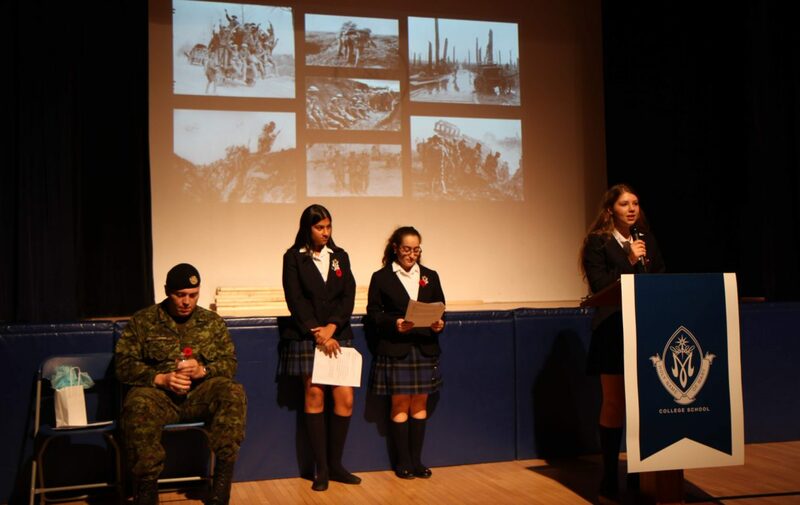 “Why do we pause on Remembrance Day?” It was a question put to all students and their answers were shared on a large art piece in the cafeteria. It’s incredible to think that this year marked the 100th anniversary of Armistice Day. At 11 am on November 11, 1918 all armies stopped fighting World War I. This year’s service at Holy Name of Mary College School was a collaborative effort on the part of all Grade 10 students. 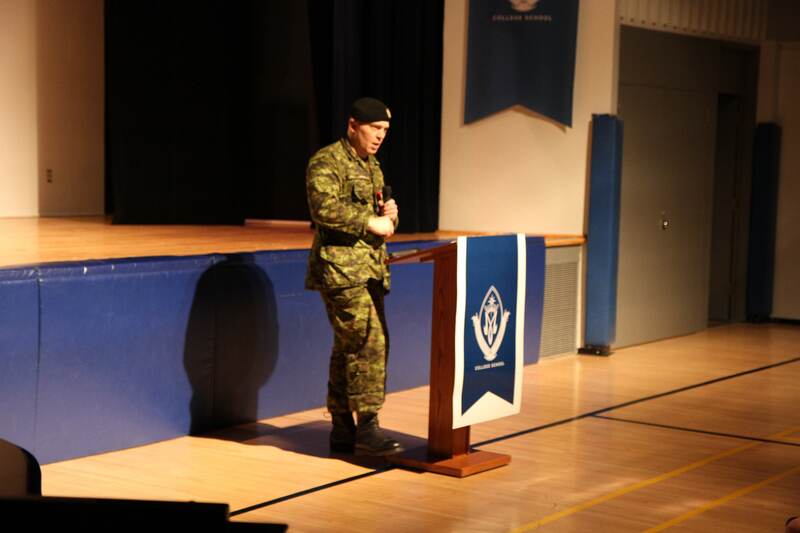 Returning guest speaker, Major Matt Lennox, who is a member of the Queen’s York Rangers, gave a moving speech on the importance of honouring the Armistice and all those who have served in the nation’s defence. The first World War or Great War was an international conflict that involved most of the nations of Europe as well as Russia, Canada, the United States, the Middle East and other regions. It was unprecedented in the destruction it caused and set the stage for WWII. More than 60,000 Canadians lost their lives. Major Lennox highlighted the role of women working as nurses providing medical aid to soldiers in dangerous conditions. The service also featured a performance from the Senior Musical Ensemble and an original song written by Ms. DiMauro.